Swick & White Inc. is a privately owned company that specializes in serving small to medium size manufacturers. We are small enough to give you quick and personal service, but have the resources to handle your biggest project from concept to production. Our sales staff are not just salesman, they are also engineers. Our engineering experience gives us the advantage of being able to understand the technical requirements and environment that your product will encounter in the field. This allows us to select the proper material and process to best suit your application and budget. Beginning with just your ideas or an existing logo we will create all the required artwork and drawings to produce product graphics that will make your equipment stand out with a professional finished look. 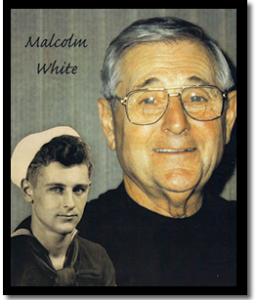 Swick & White Inc. was formed in 1991 when Terry Swick joined Malcolm White of Malcolm White and Associates. The two worked as a team until 1998 when Malcolm retired. Malcolm passed on in 2005 at the age of 87. In 2011 Brad Swick, Terry’s son, joined Swick & White after leaving his career as a mechanical engineer in the automotive industry.